Roseman’s concise account is a superb reconstruction, amply supported by evidence. 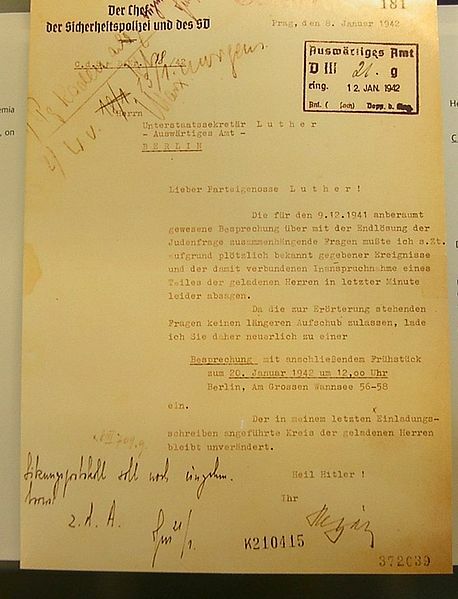 Yet as he says, the Conference per se “was not the moment of decision.” We do not know just when Hitler set his hideous policy but Wannsee was clearly a watershed in the clearing of bureaucratic hurdles and articulation of logistics. Of course, Hitler had had the so-called ‘Jewish question’ in mind for a long time. Mein Kampf drips with extermination babble – the National Socialists progressively escalated the oppression from 1933 to 1939 – his speech to the Reichstag in January 1939 predicted the annihilation of European Jewry if war broke out – and there were plenty of extra-judicial, non-battlefield executions going on in 1940 and 1941. Yet the circumstances and date of the actual green light for Project F is not verified. 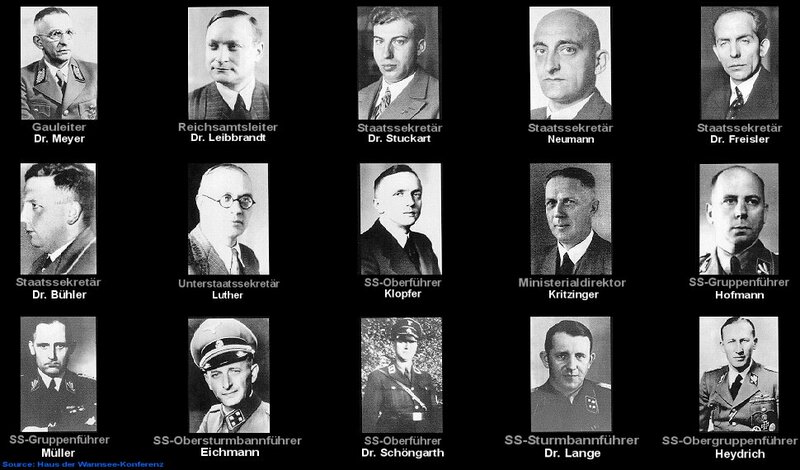 The conference at Wannsee Villa had originally been scheduled for 9 December 1941 but it was pushed back – Germany had a bit on its plate that month, what with Pearl Harbor and Operation Barbarossa. “HITLER: And now, gentlemen, to come straight to the heart of the matter, we must formulate a final and definitive approach to the Jewish question. May I have your recommendations? WESEL: I suggest we teach them an object lesson. A deterrent – a symbolic threat to their survival. HEYDRICH: I suggest we exterminate them.